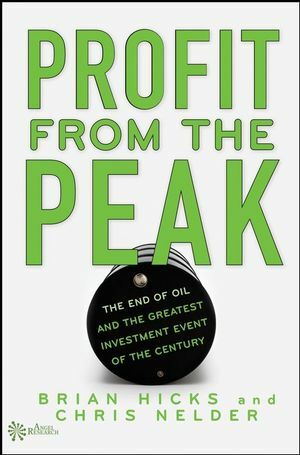 Profit from the Peak contains the information you need to successfully navigate the end of our oil-based economy. It takes a hard look at the future of oil and gas, examines how you can effectively invest in these resources, and profit from energy alternatives that are poised to power the years ahead. Along the way, this book also explores the potential, and possible limitations, of each major energy source, while carefully cover the investing angles of each one. Chris Nelder is a self-taught energy expert who has intensively studied peak oil for five years and written hundreds of articles on peak oil and energy in general. He also founded and published an online magazine called Better World in the mid '90s, as part of his lifelong interest in fostering environmental and social responsibility. 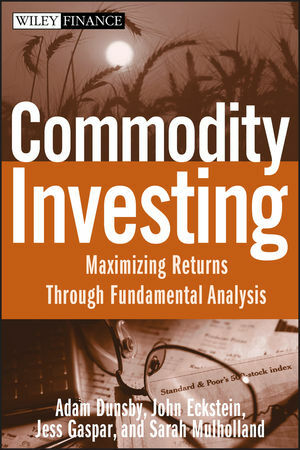 Nelder is a frequent contributor to Energy and Capital, among other publications, and is an active investor in energy. Brian Hicks worked for Agora Publishing, one of the largest financial newsletter publishers in the world, for ten years before helping to found Angel Publishing. In addition to being the Managing Editor of Energy and Capital and The $20 Trillion Report, Hicks writes a weekly column for Wealth Daily concerning high-profit opportunities in the ever-tumultuous geopolitical environment. Part I. The Crisis in a Barrel. Chapter 1 - December 16, 2005: The Day the Devil Wept a Thousand Tears a Second. Chapter 2 – What is Peak Oil? The Importance of Giant Oil Fields. Reserve Replacement and Deepwater Drilling. The Bottom Line on Peak Oil. Chapter 3 – Wanted: Five New Saudi Arabias. Chapter 4 - $480 a Barrel: The True Value of Oil. Costs to the U.S. Military. The True Cost of Oil: $480 a Barrel. Chapter 5 - The Pentagon Prepares for Peak Oil. Part II. Making Money from the Fossil Fuels That Are Left. Chapter 6 –Twilight for Fossil Fuels. Diminishing Returns and Receding Horizons. Chapter 7 - The Road to El Dorado: The Alberta-Texas Oilsands Pipeline. Part III. Energy after Oil. Chapter 8 - The Renewable Revolution. Chapter 9 - Endless Energy: Here Comes the Sun. A Short History of Solar Technologies. Chapter 10 - Pressure Cooker: Tapping the Earth’s Heat. Chapter 11 –Nuclear's Second Act. Chapter 12 - What's Needed: A Manhattan Project for Energy. The Importance of Timely Reponse. Chapter 13 – A Future Electric. Epilogue: Why I'm an Energy Optimist. A True Jeffersonian Agrarian Democracy. Appendix A. Energy Units and Equivalences Tables. Appendix B. Top Oil Producers and Peak Production. Appendix C. Energy Mix Charts.